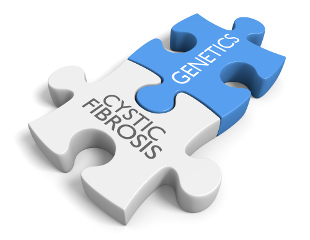 ARUP’s cystic fibrosis (CF) 165 pathogenic variants assay screens individuals or couples who are pregnant or planning a pregnancy, and can serve as a first-tier diagnostic test for those affected with CF. Over 2000 variants have been detected in the CFTR gene. Since most are extremely rare and many have unknown significance, the American College of Medical Genetics has recommended screening for at least the 23 most common pathogenic CFTR variants. ARUP has recently improved its CFTR screening assay to increase the test’s sensitivity. The above chart provides a comparison of the detection rate of the old Cystic Fibrosis (CFTR) 32 Pathogenic Variants test and the new Cystic Fibrosis (CFTR) 165 Pathogenic Variants test in CF carriers and those affected with disease. ARUP has expanded its cystic fibrosis testing menu to optimize testing for our clients. The cystic fibrosis (CFTR) panel with 165 pathogenic variants tests for known severe or moderately severe variants that cause cystic fibrosis and is appropriate as a carrier screening test for individuals or couples who are pregnant or planning a pregnancy, and as a first-tier diagnostic test for individuals affected with cystic fibrosis. CFTR gene sequencing detects mildly pathogenic variants associated with CFTR-related disorders, such as pancreatitis or congenital bilateral absence of the vas deferens (CBAVD), and is an appropriate first-tier test for CF-related disorders. Because the 3199del6 variant is included in the new 165 pathogenic variants panel analysis, a separate, more costly test is not necessary. Likewise, the CF cis-trans test for R117H and 5T variant will be performed as an automatic cost-free reflex when ordered as part of the new CF 165 variants panel. One important change to the new panel is that the presence of the mild 5T variant, along with the presence of any of the 165 CF variants tested, will be reported when information provided to ARUP indicates that the patient is symptomatic. Separate testing for the 5T variant is not necessary. This mild variant will not be reported when the patient is asymptomatic, such as during routine obstetric carrier screening, as recommended by the American College of Medical Genetics (ACMG). This variants should not be reported for carrier screening since it is not CF-causing and would lead to unnecessary anxiety, as well as testing of reproductive partners and pregnancies.